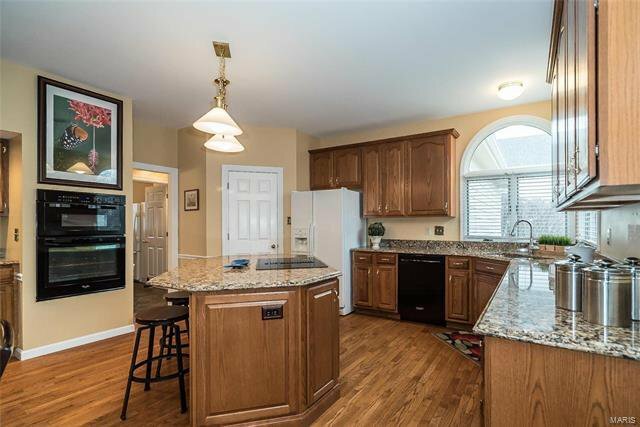 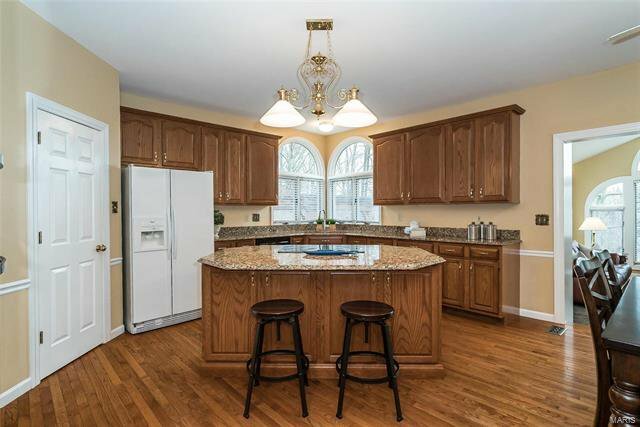 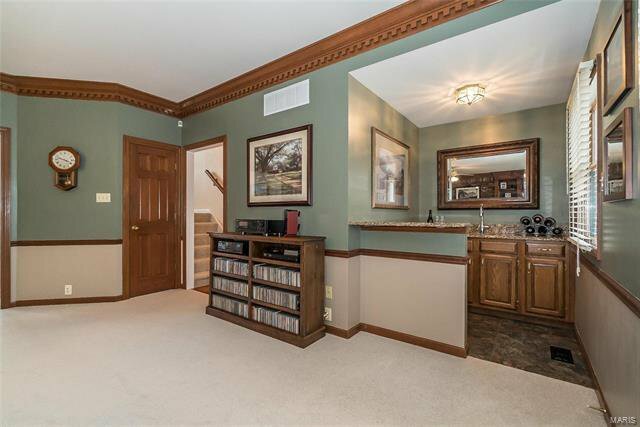 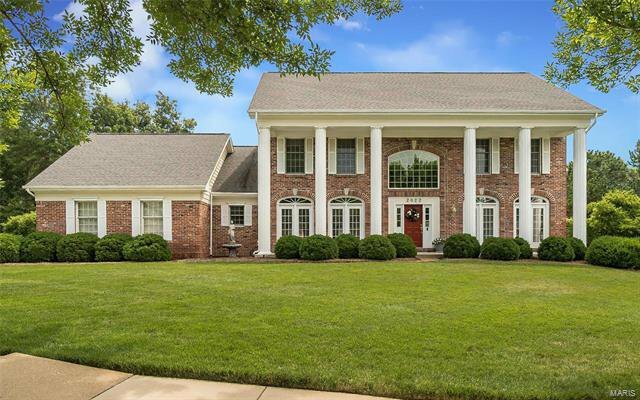 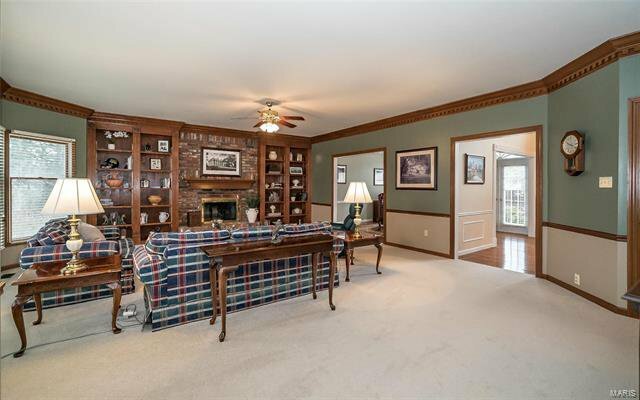 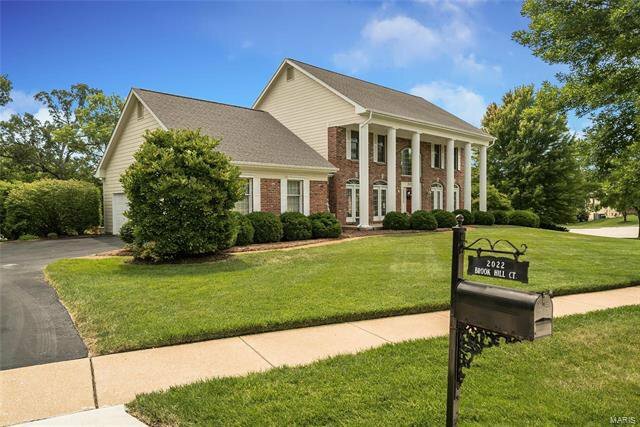 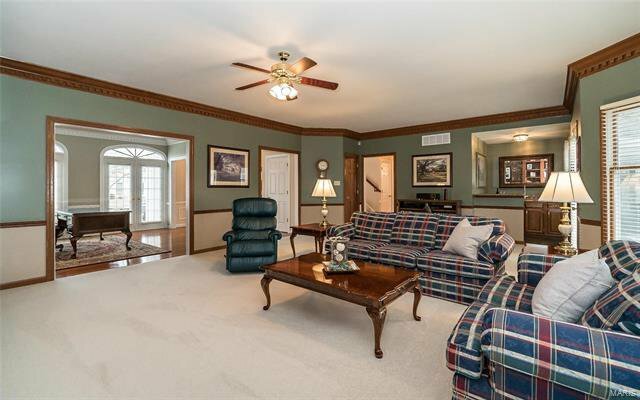 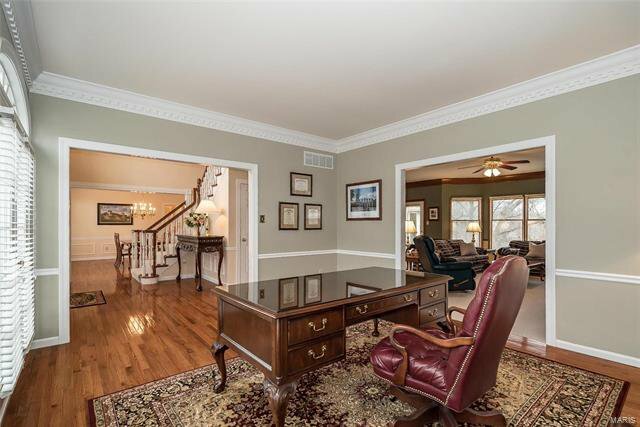 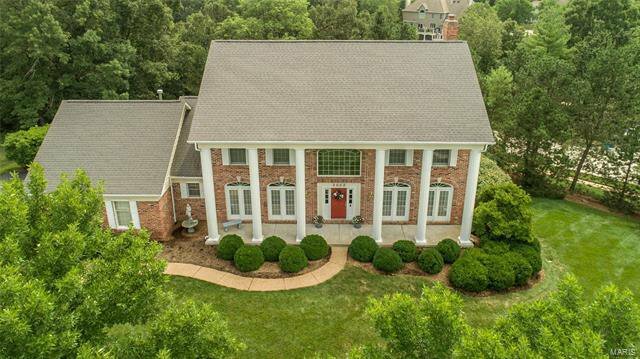 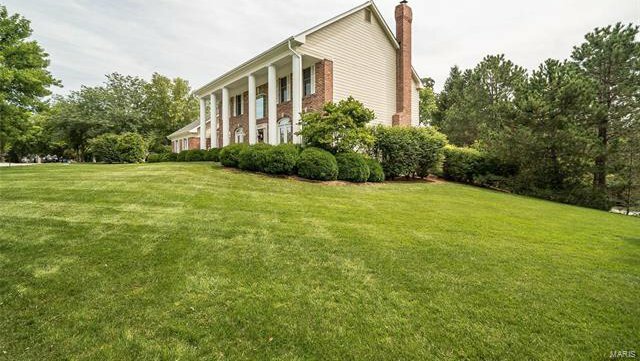 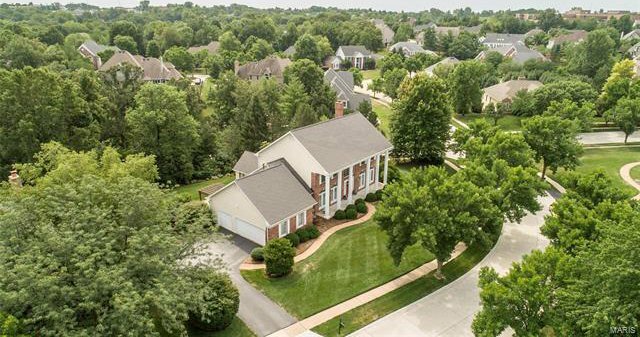 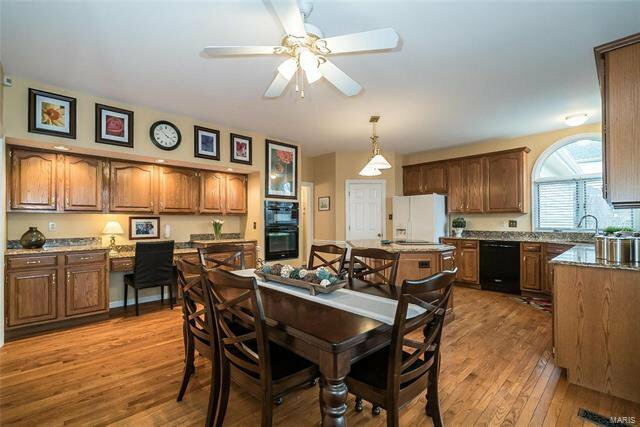 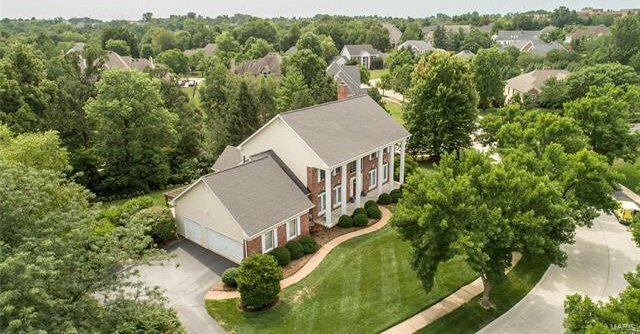 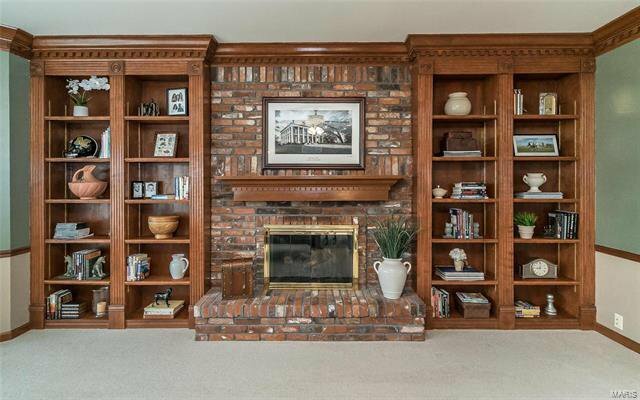 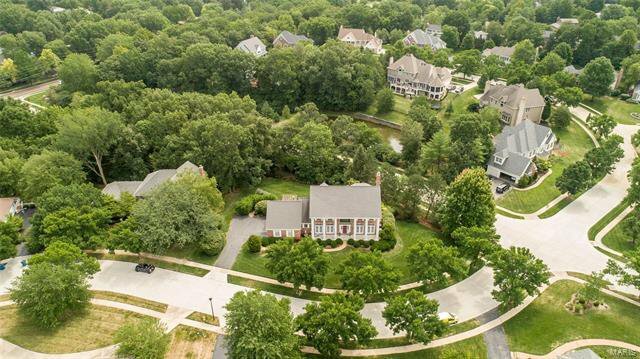 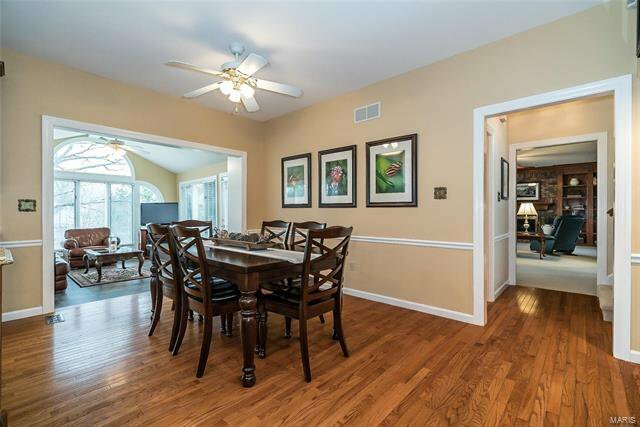 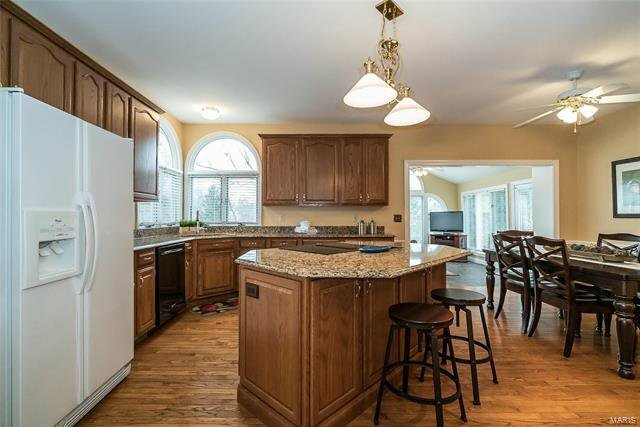 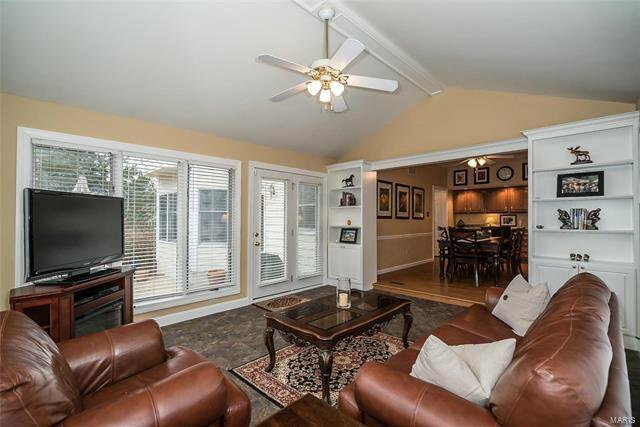 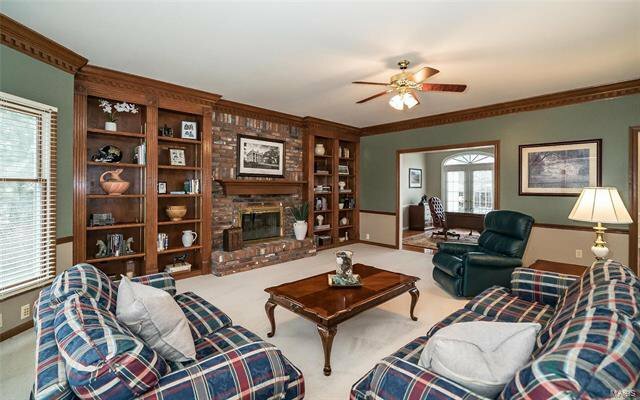 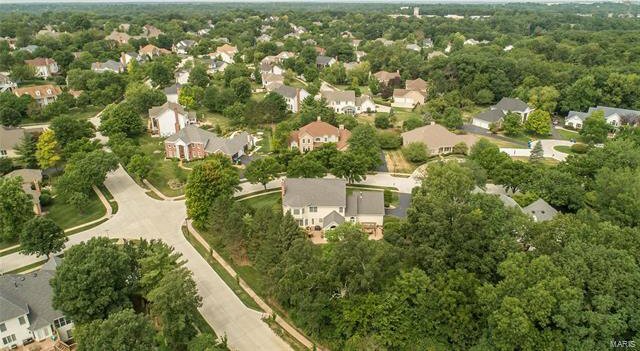 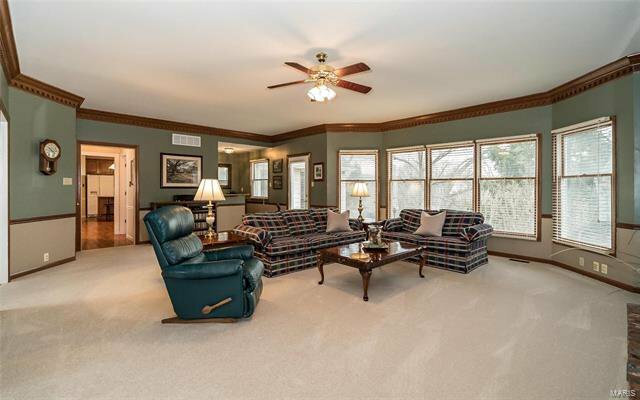 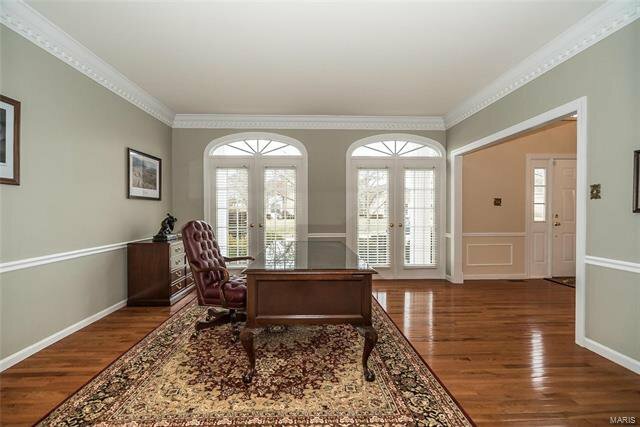 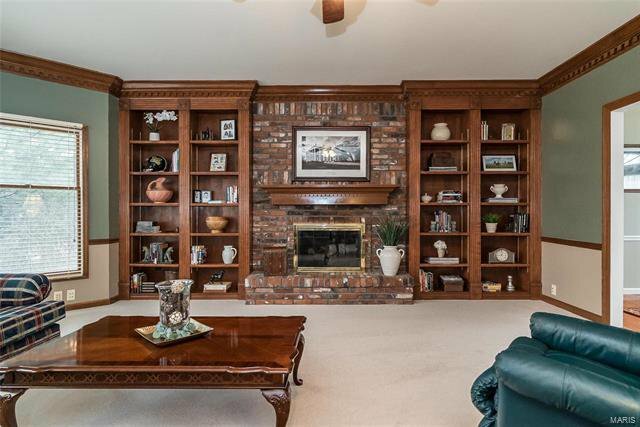 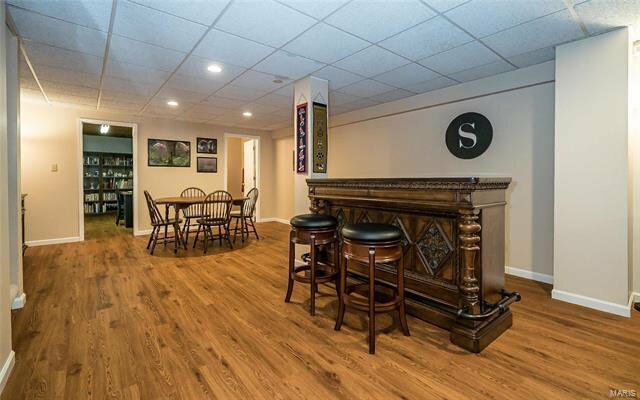 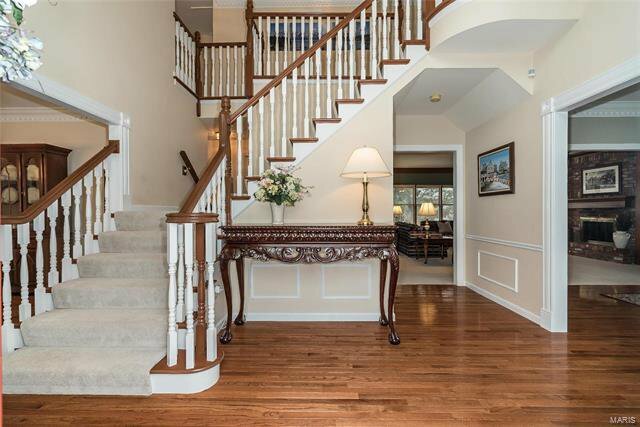 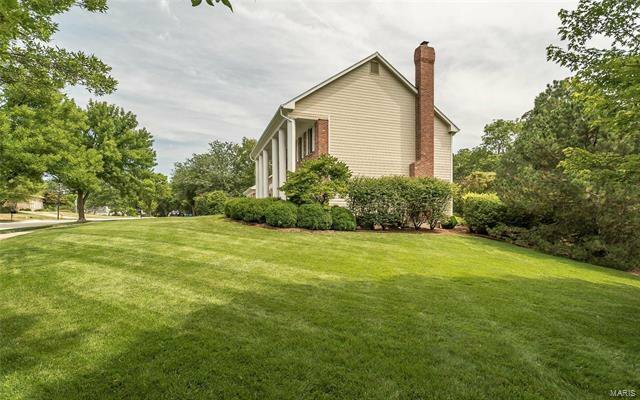 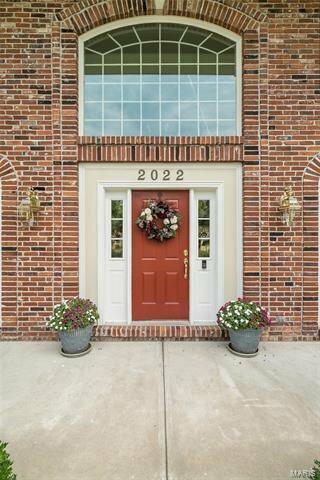 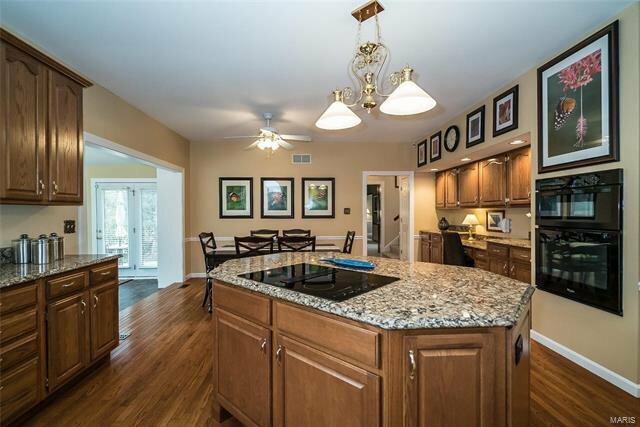 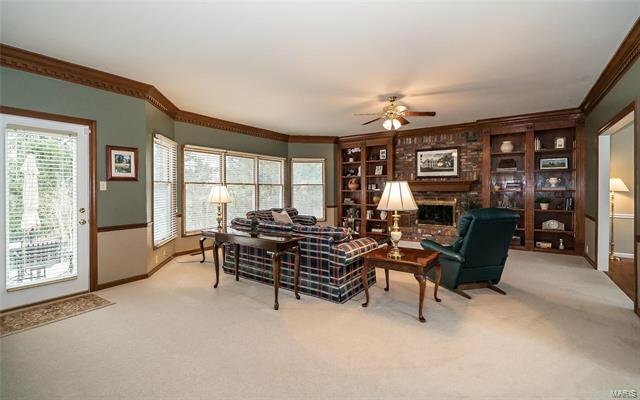 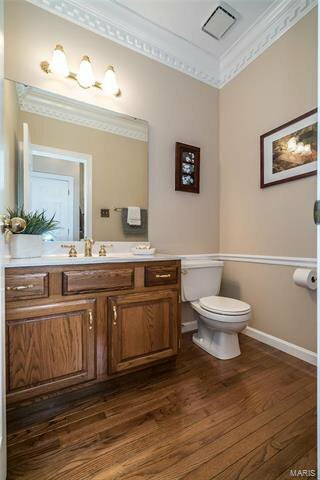 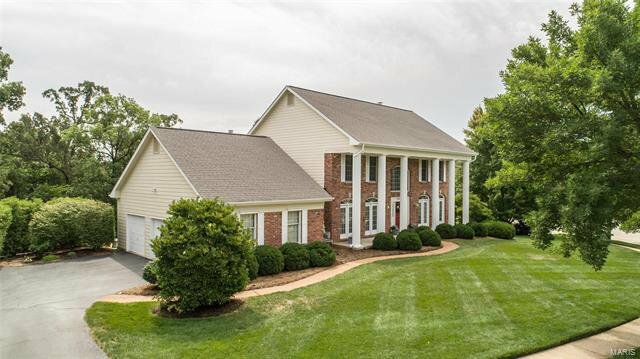 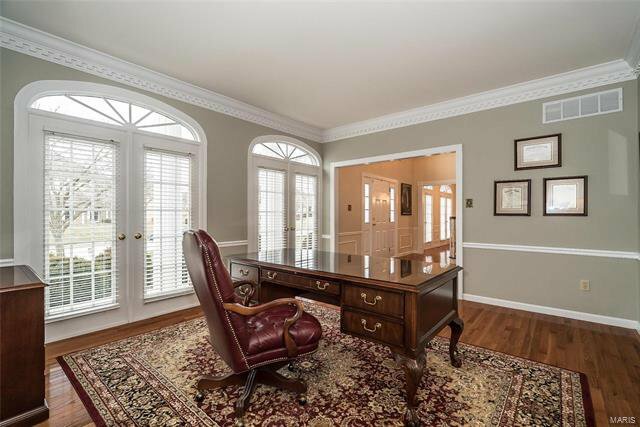 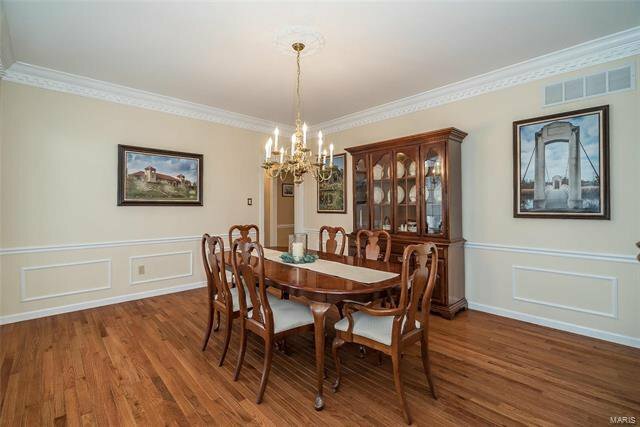 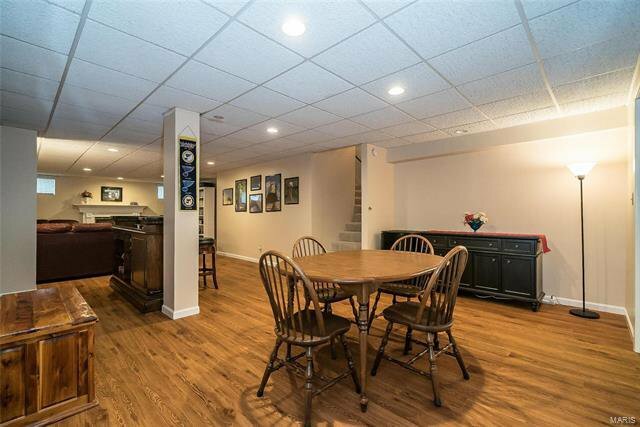 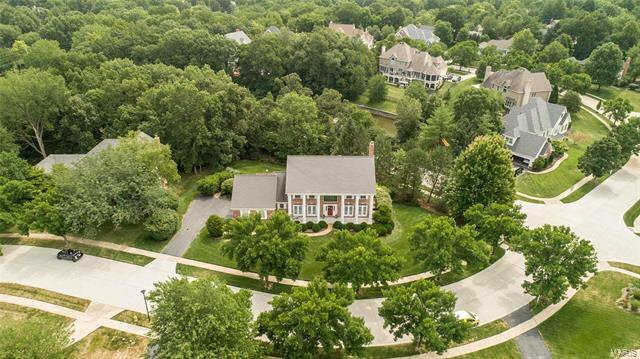 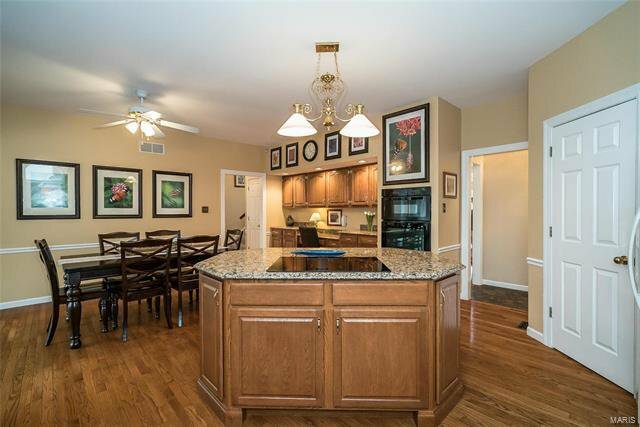 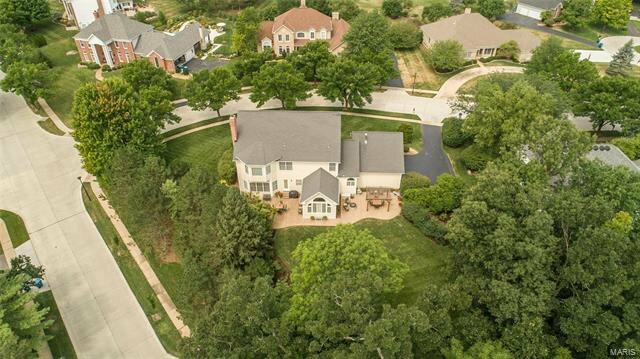 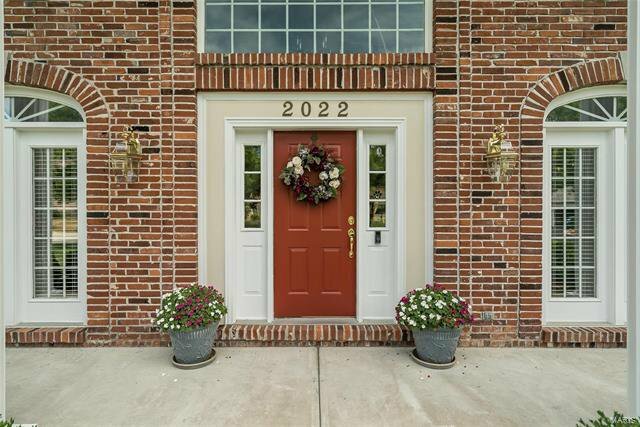 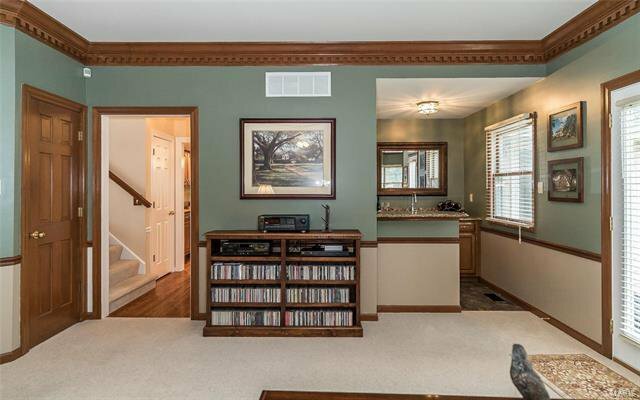 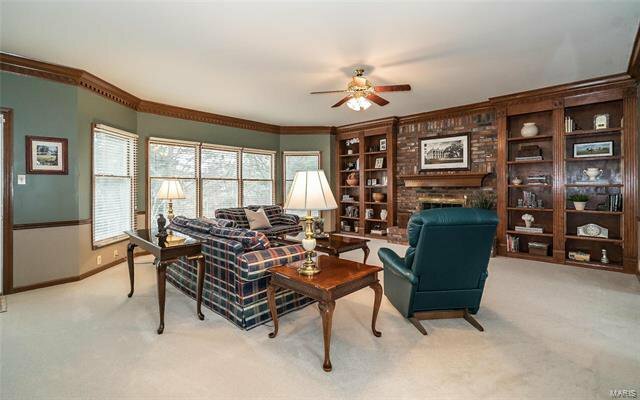 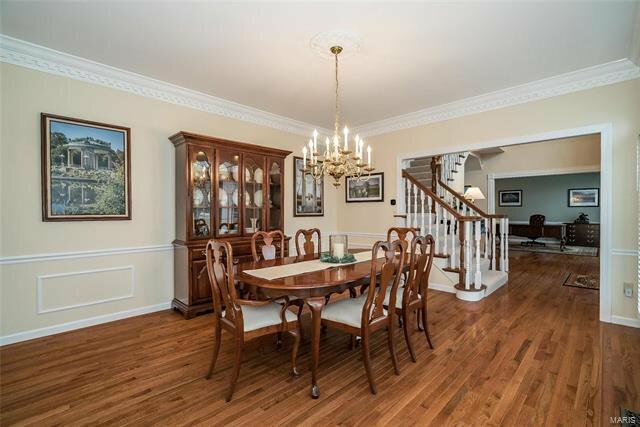 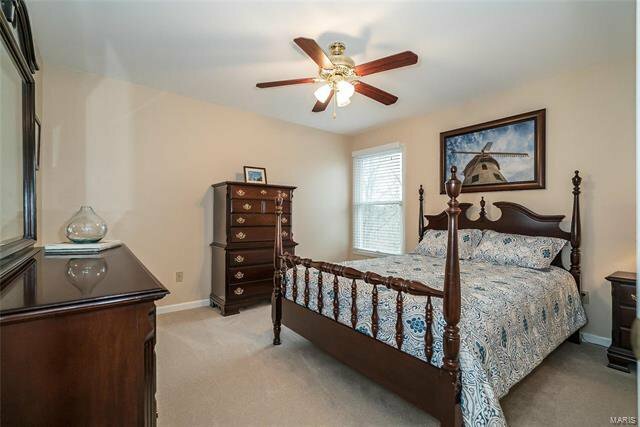 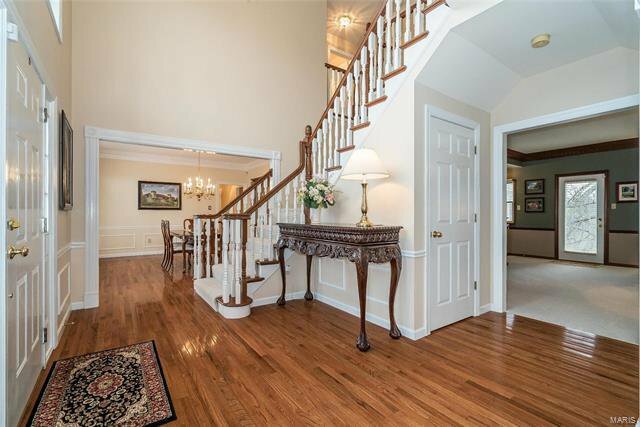 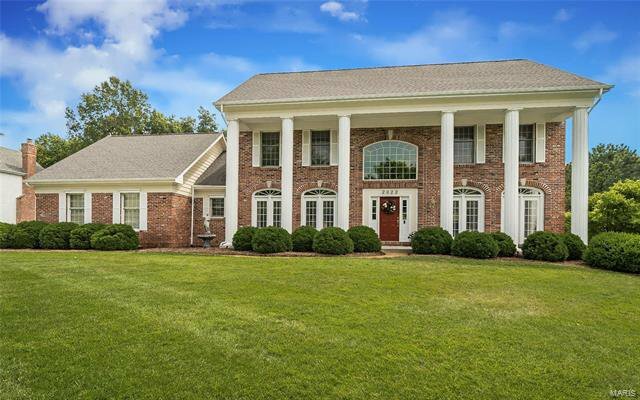 Stately brick Colonial in premier neighborhood! 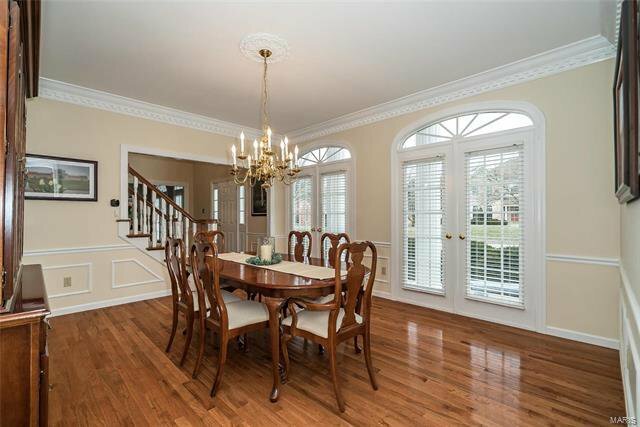 Gleaming wood floors, extensive millwork & palladian windows add to the appeal of this classic-styled 2 Sty. 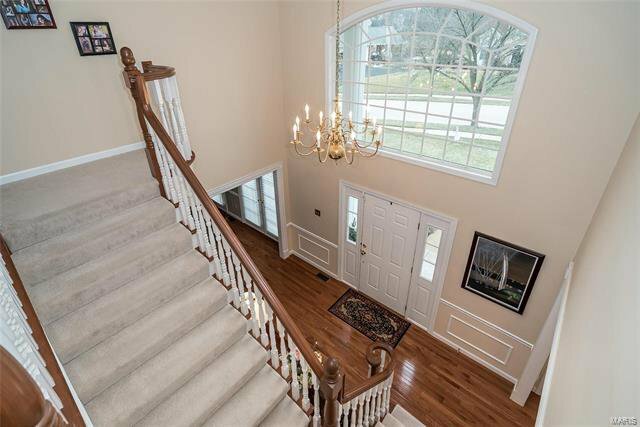 Impressive covered porch entrance highlighted by architectural columns leads to 2-sty hardwood foyer, living room/study with 2 sets of “French doors,” elegant dining room & spacious family room with wide bay window, wet bar, floor-to-ceiling brick fireplace flanked by built-in bookcases & atrium door that opens to patio. 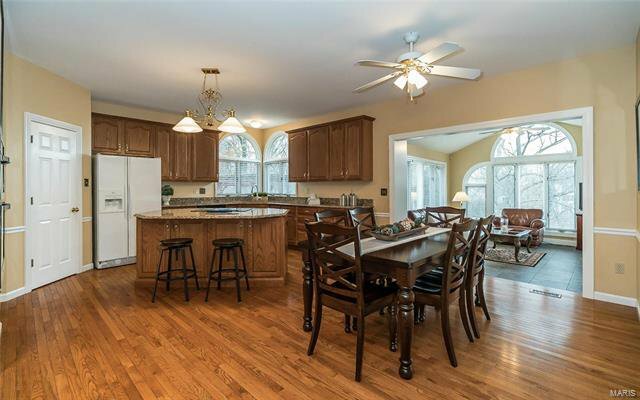 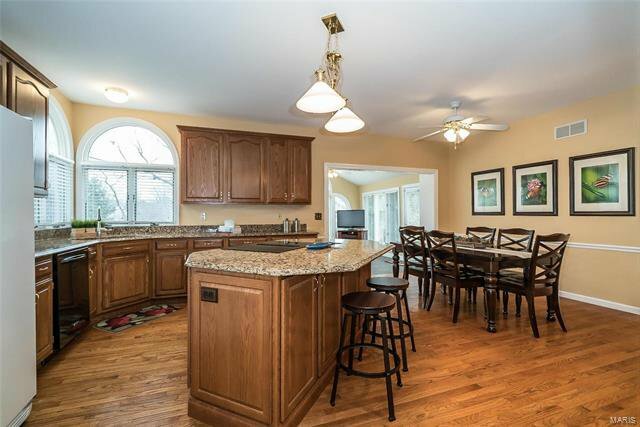 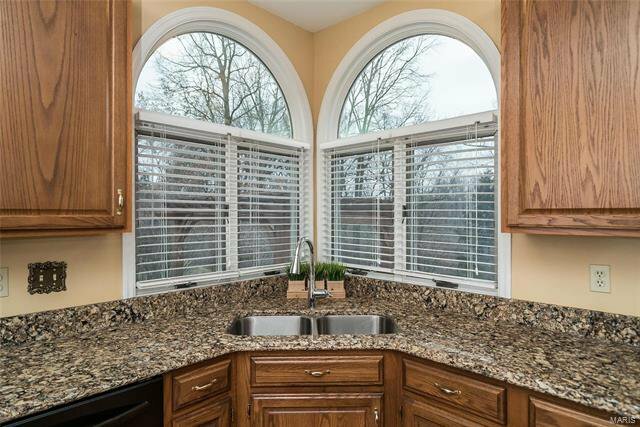 Chef’s kitchen w/Cambria quartz countertops, 42” cabinetry, premium appliances & center island adjoins light-filled breakfast room with convenient planning center & vaulted sunroom. 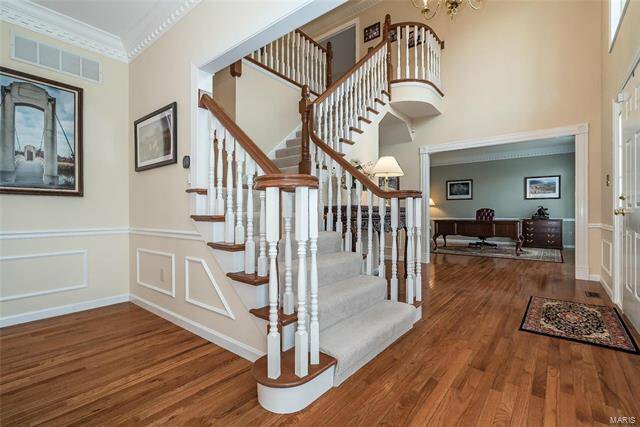 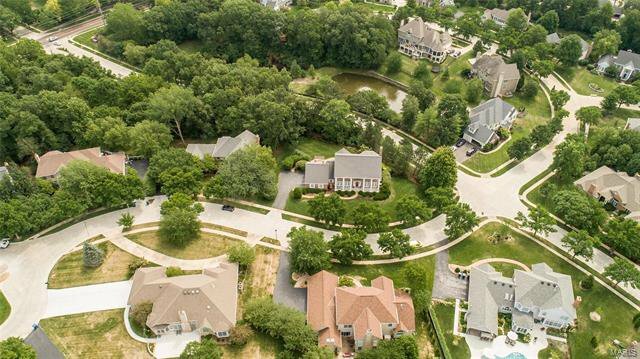 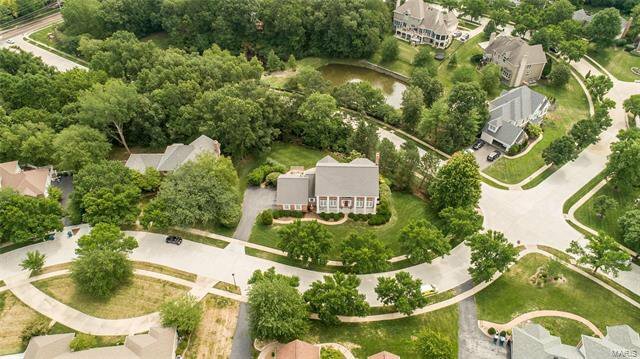 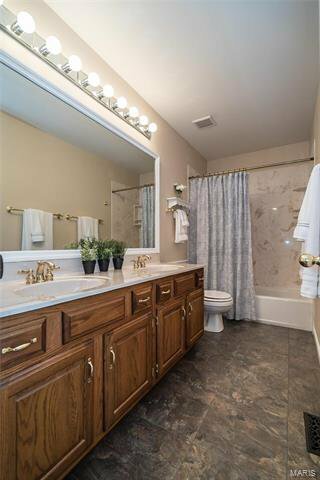 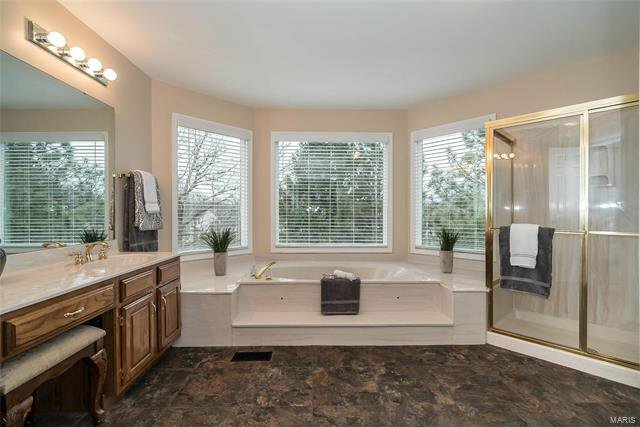 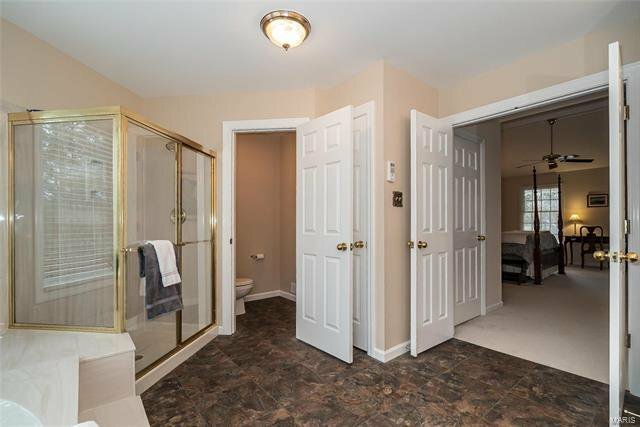 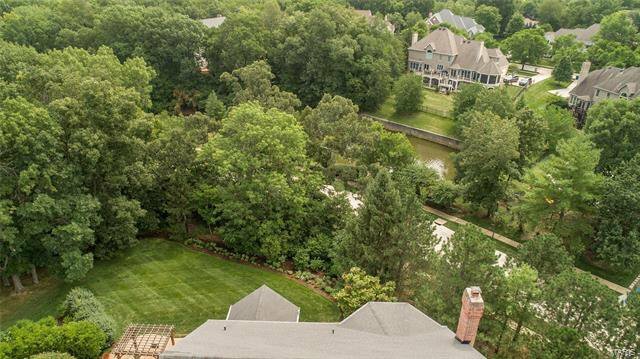 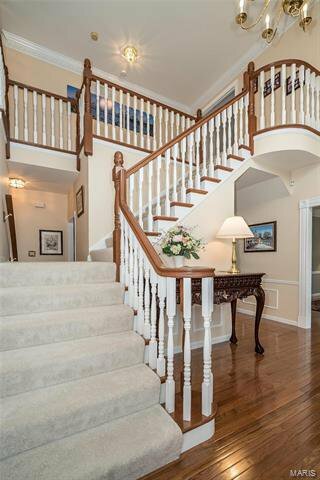 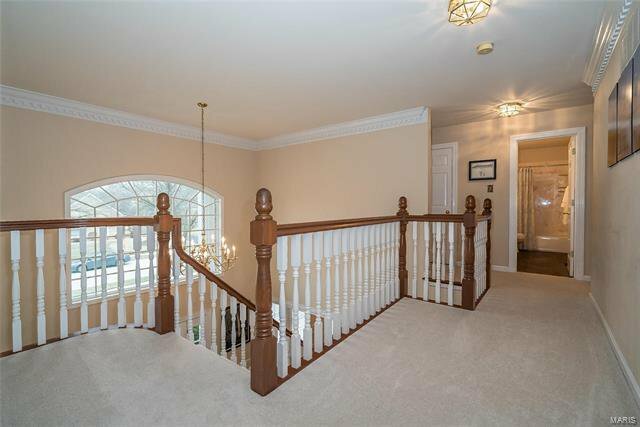 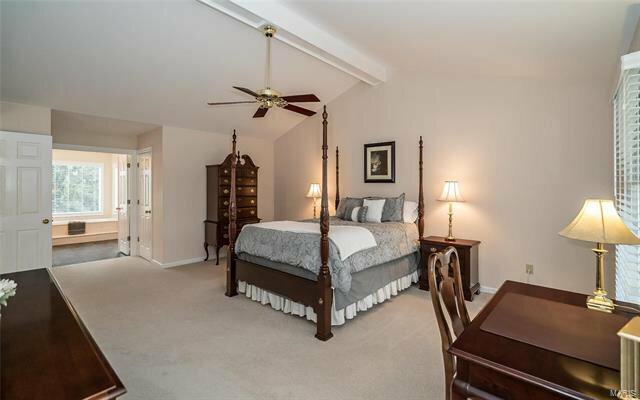 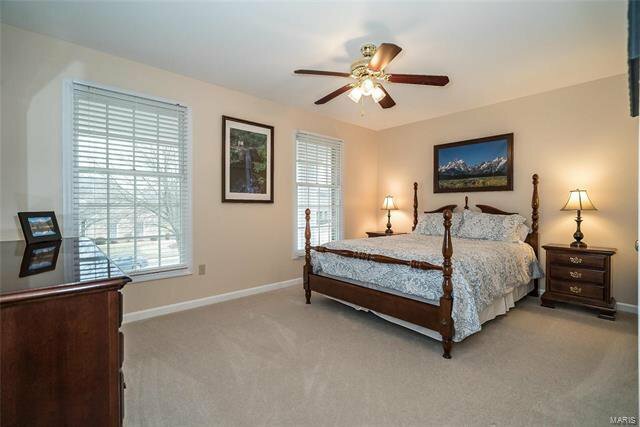 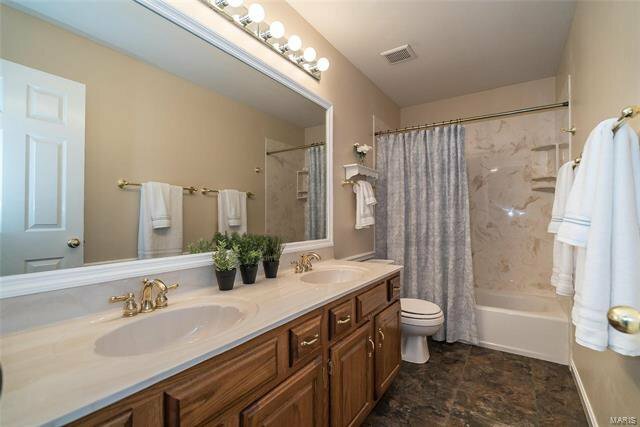 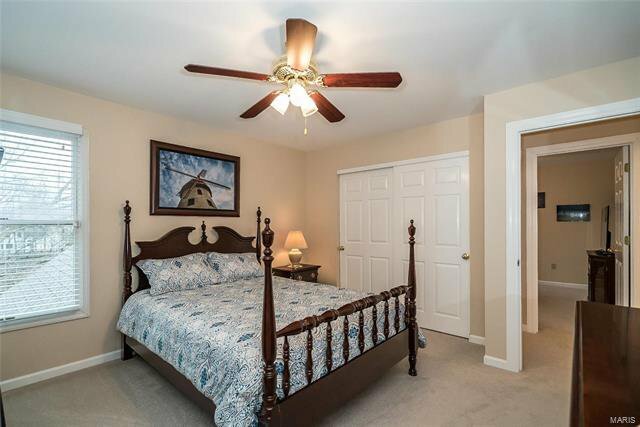 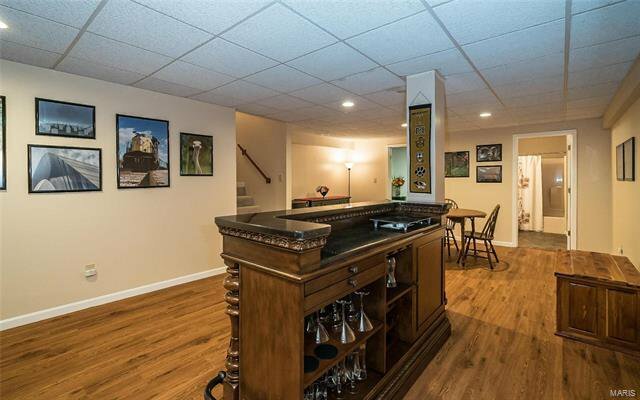 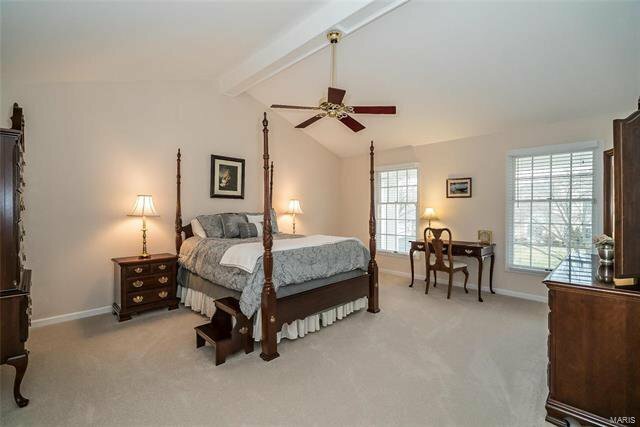 T-staircase accesses sumptuous master bedroom suite with cathedral ceiling, His & Hers walk-in closets & luxury bath plus 3 additional bedrooms & hall full bath. 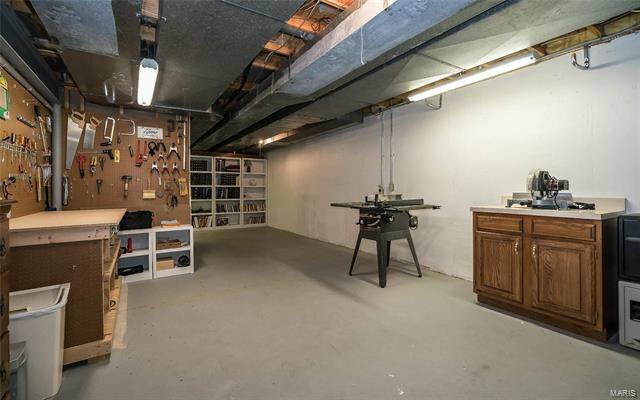 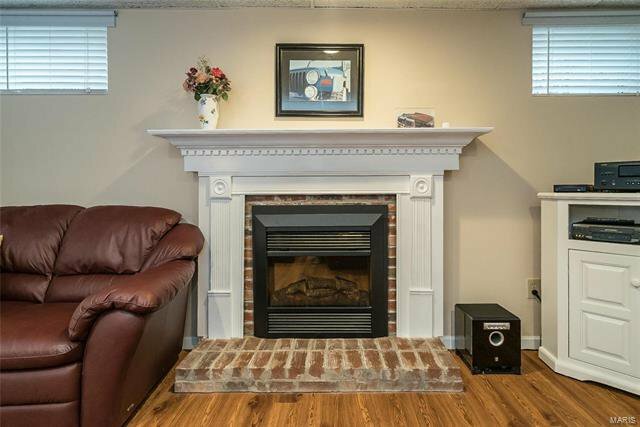 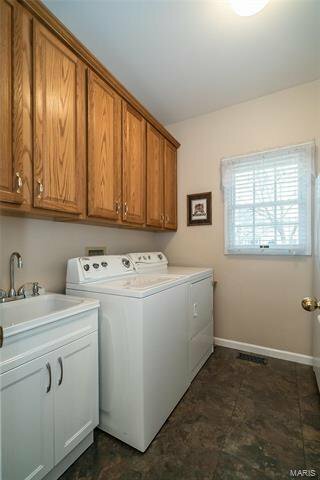 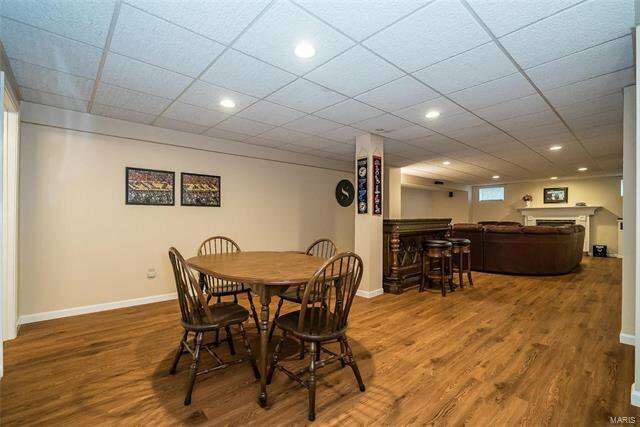 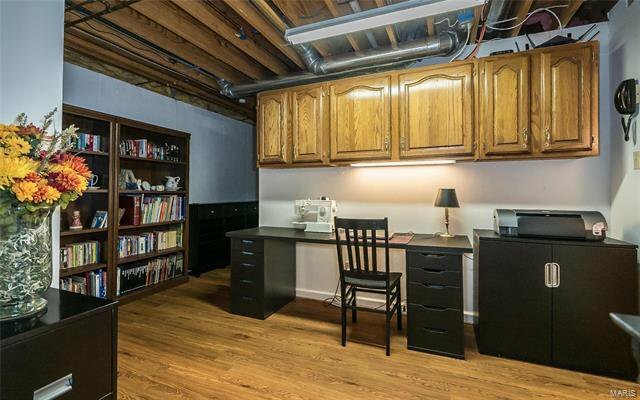 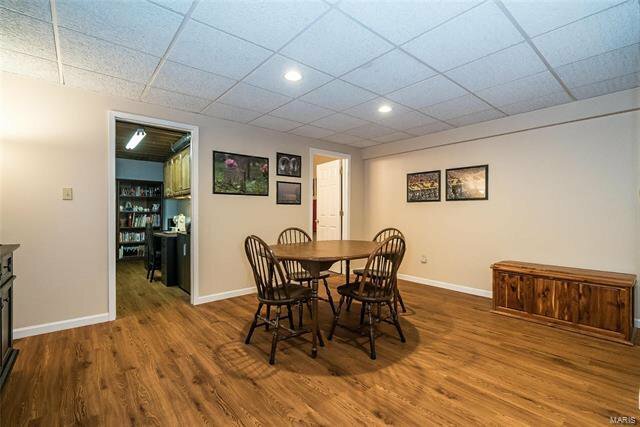 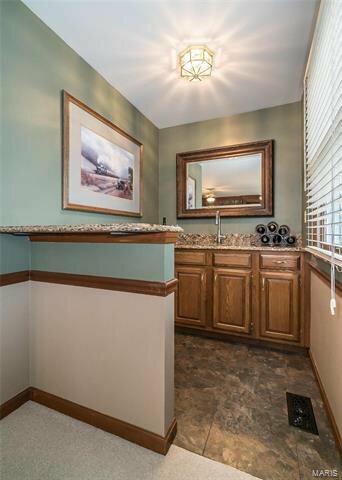 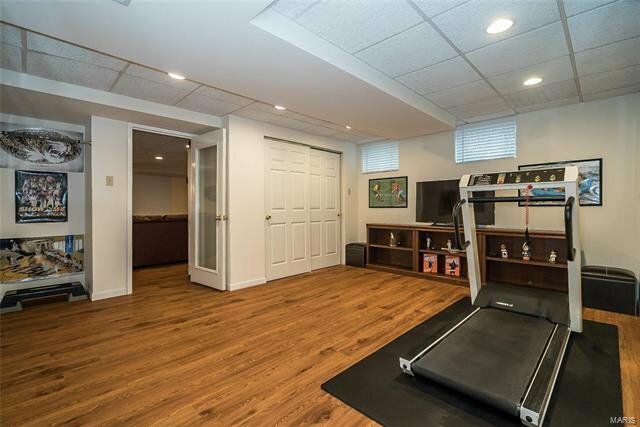 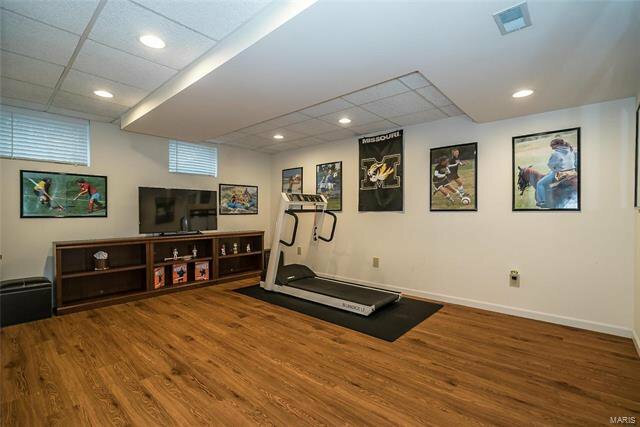 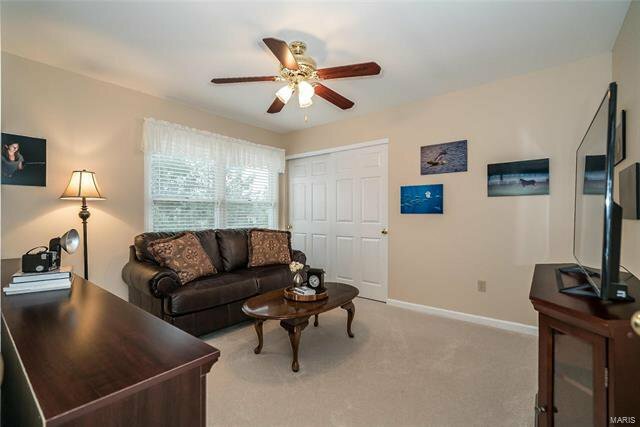 Lower Level includes recreation room with fireplace, dining area, office, workout room & full bath. 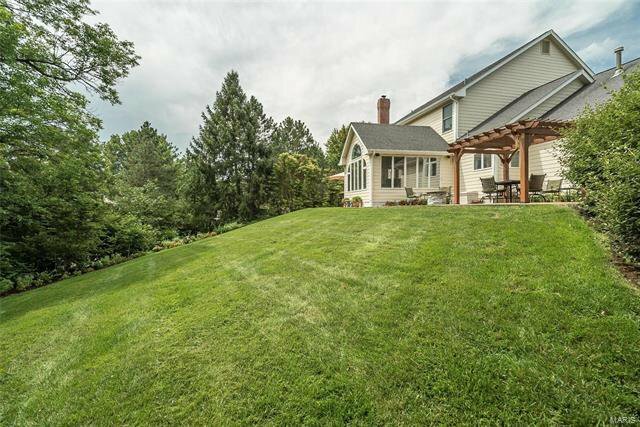 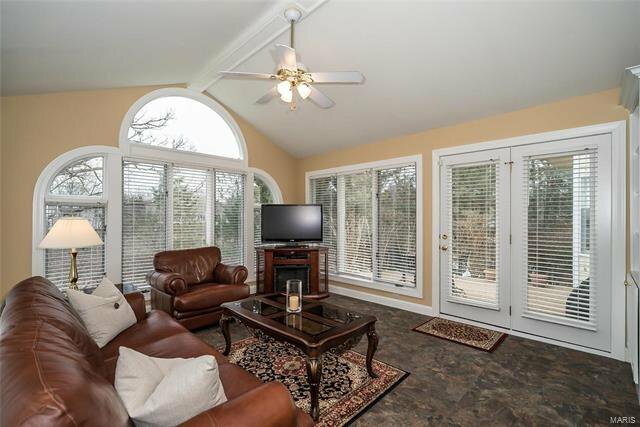 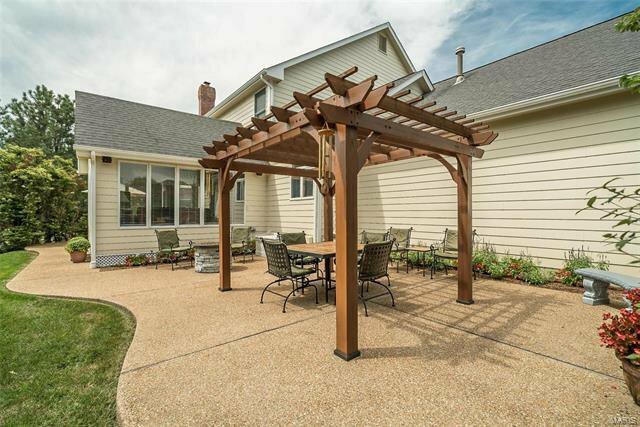 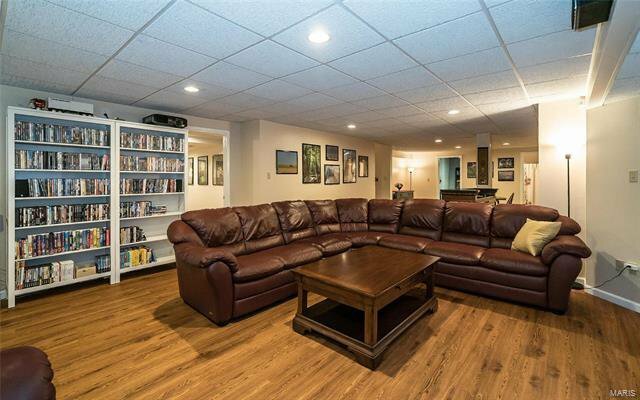 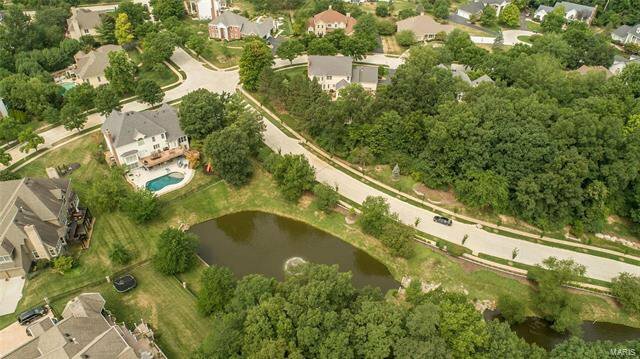 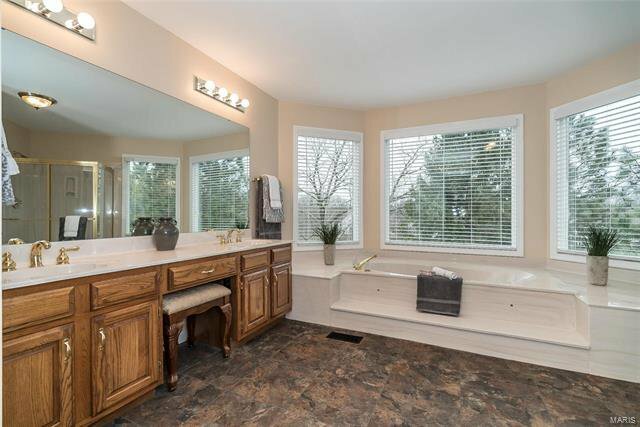 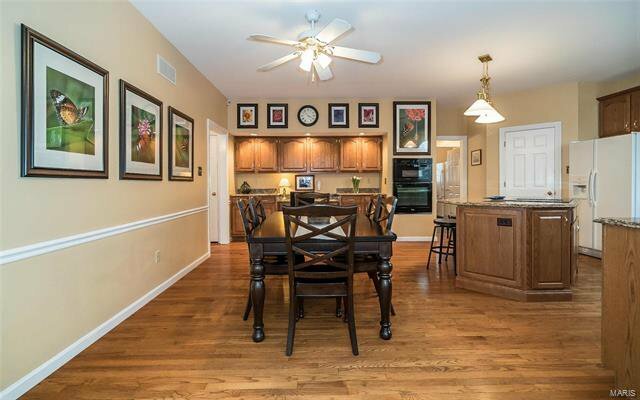 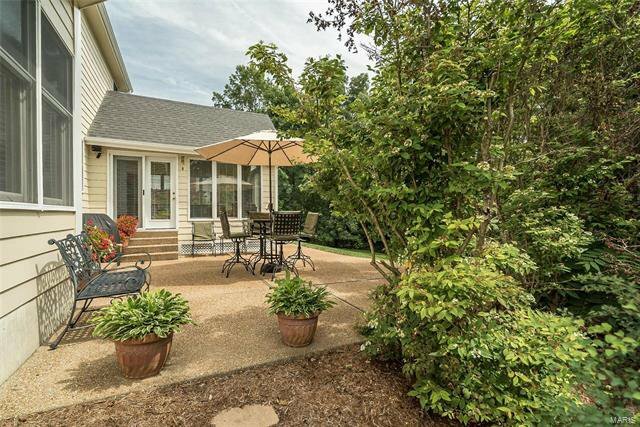 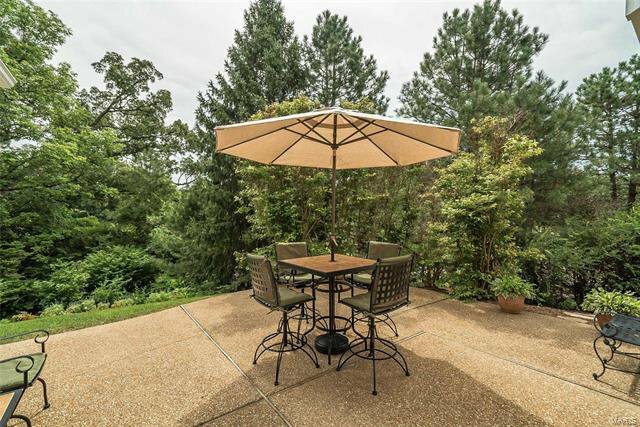 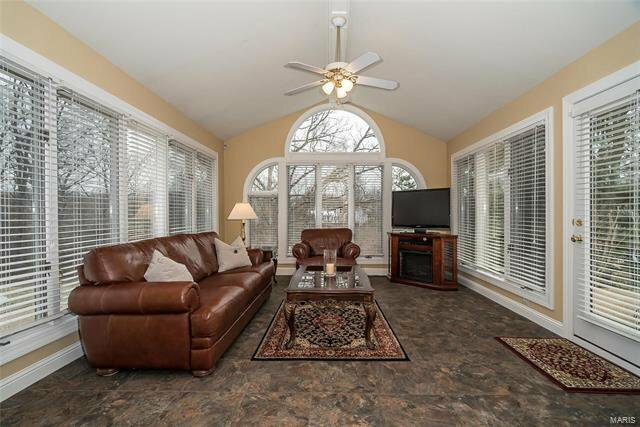 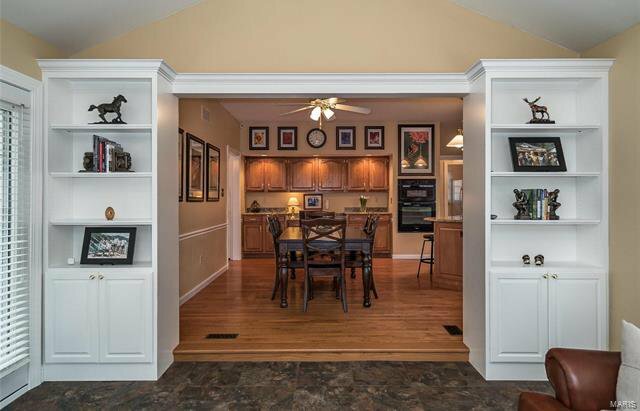 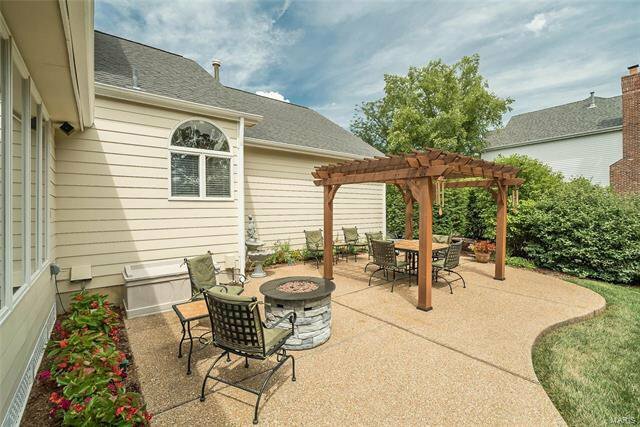 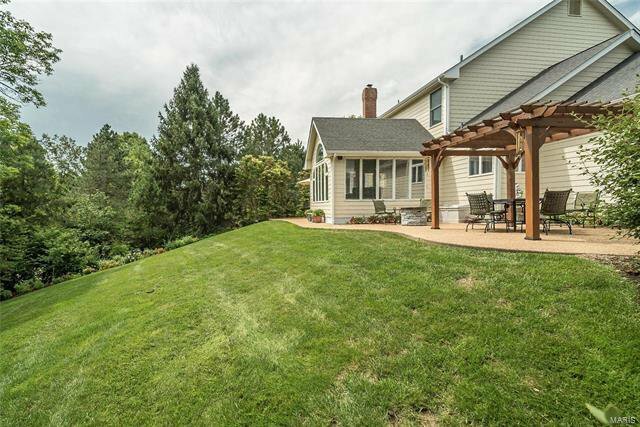 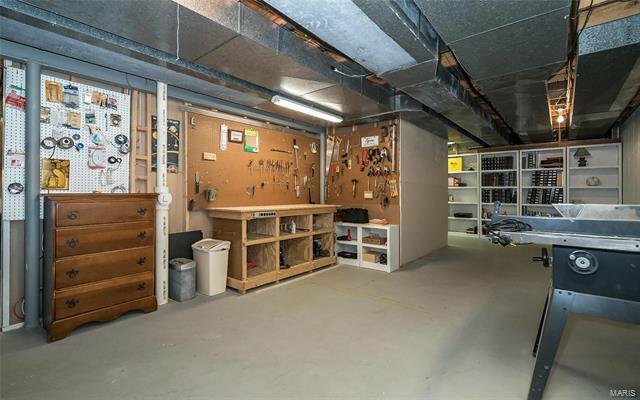 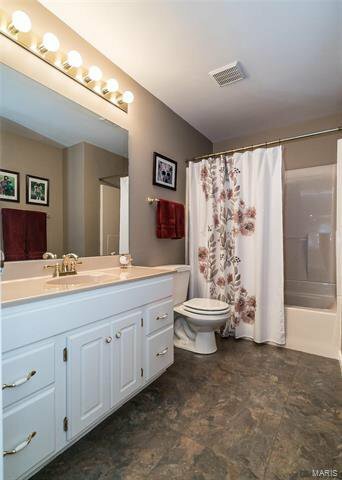 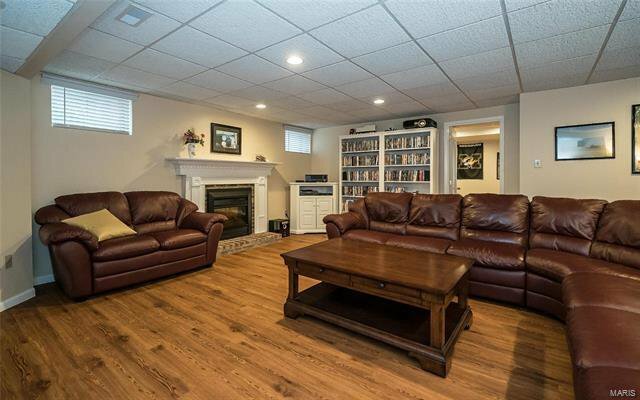 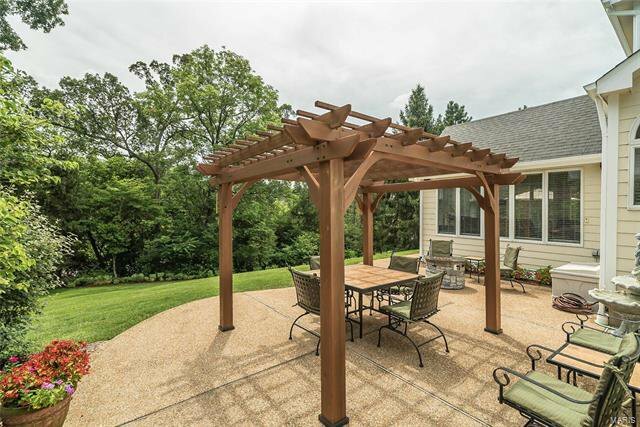 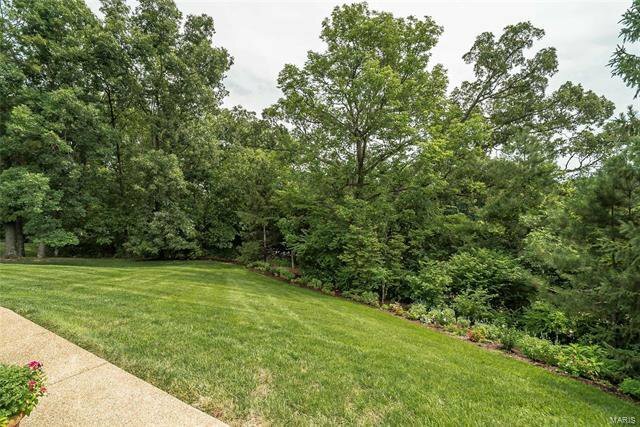 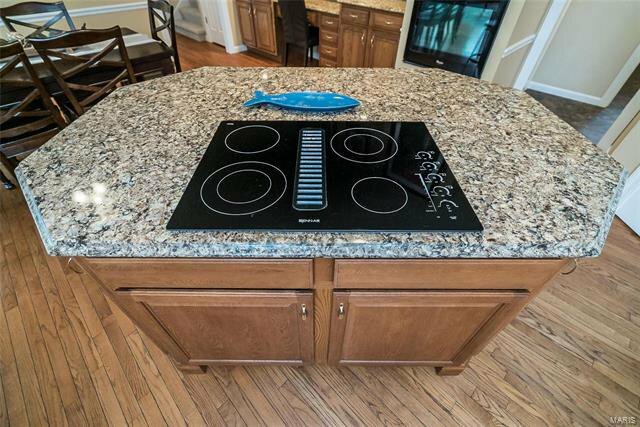 Situated on a .58 acre cul-de-sac lot with 2 patios, pergola & 3-car garage. 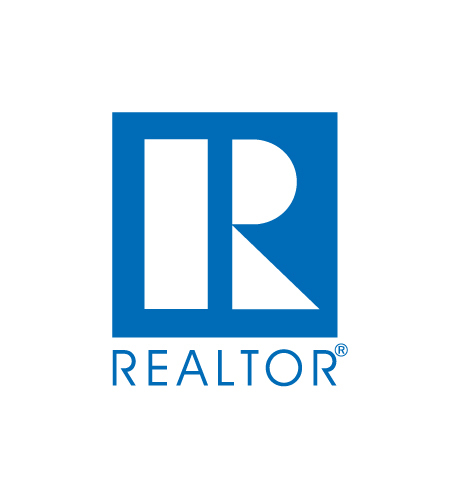 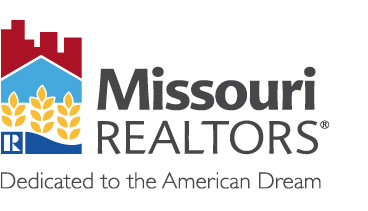 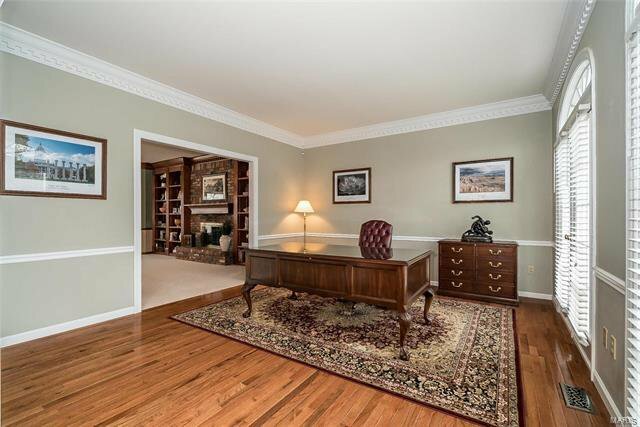 Listing courtesy of Coldwell Banker Gundaker-T & C. Selling Office: Berkshire Hathaway Select.